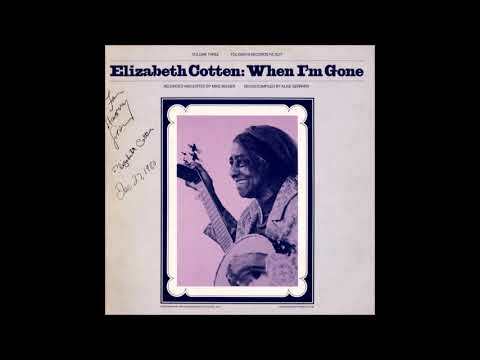 In the mid-1940s, Elizabeth Cotten (1895–1987) chanced to meet composer Ruth Crawford Seeger at a department store. They began to talk, and Seeger soon hired Cotten to work in the Seeger household. It was here that Cotten became motivated to pick up the guitar again—it had been so long she had forgotten she knew how to play—and she began playing professionally in her early eighties. The material chosen for this recording includes songs and tunes from her childhood, such as “Praying Time Will Soon Be Over” and original compositions like “When I’m Gone.” She accompanies herself on her guitar, strung in the usual right-handed way yet played left-handed, with the guitar upside down. 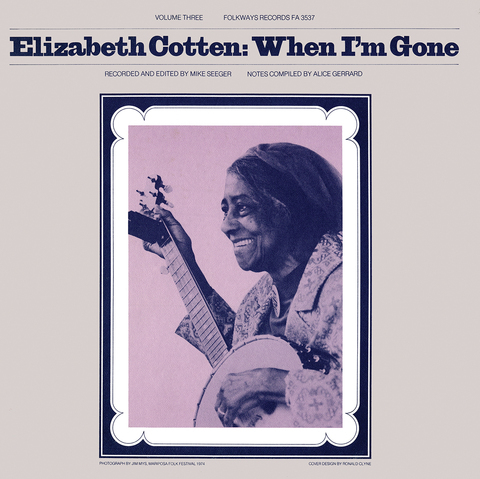 This album showcases her unique style, described by Mike Seeger as “a synthesis of turn-of-the-century parlour music, blues, church songs, and a little ragtime.” Liner notes include extensive selections from conversations between Cotton, Mike, and Alice Gerrard.